Congressman Larry P. McDonald, 1976, killed in the Korean Airlines 747 that was shot down by the Soviet Union. Almost 32 years ago in September of 1983, Korean Airliner KAL007 was shot down in one of the most mysterious and murky episodes in modern history. Among the passengers on the ill-fated flight was as a U.S. representative from northwest Georgia’s 7th Congressional District, Congressman Lawrence Patton McDonald M.D. As it turns out, Larry McDonald was right about so much, and possessed the foresight to see today’s globalization, WTO, the EU super state and the disintegration of the United States as a constitutional republic. Incredibly, McDonald also outlined (in the video interview below) how the US federal government would eventually move towards socialism, and restrict the Second Amendment and gun ownership in America. A visionary, to say the least. He was also a member of the national council for the John Birch Society since 1966, and was named its chairman in March of of 1983. He described the society as "a constitutionalist education-action organization." 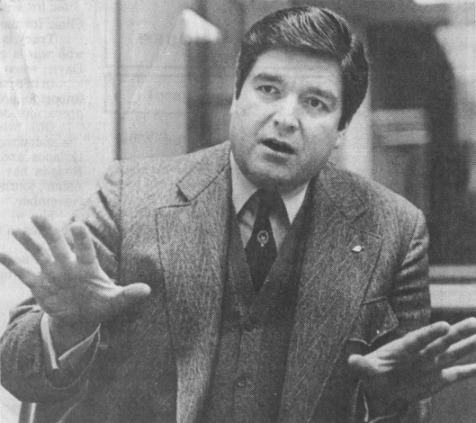 Around May of 1983, approximately 4 months before being shot down in KAL007, Congressman Larry McDonald takes on Pat Buchanan and Tom Braden on Crossfire, as they badger him about his new role as Chairman of the John Birch Society. He easily handles them and answers questions concerning the Elite’s Conspiracy for a One World Government. Tom(Thomas) Braden was a member of the Council on Foreign Relations(CFR) and a former CIA employee. He died in 2009. Note that he was a part of the very conspiracy of which Larry McDonald referred to; yet note how many times Tom ridicules Larry over the term "conspiracy." - He was also correct about about the Federal government’s obsession with impinging on gun rights and shredding the Constitution. Together we can restore our republic by exposing the forces that wish to enslave us; to shed light on what is being done in the dark.